Spelling is a fundamental literacy skill that enables children to develop strong writing skills as they grow. Poor spelling can interfere with our ability to communicate effectively, causing confusion and ultimately obstructing the point we may be trying to convey. It’s essential that primary schools help to cultivate the required spelling skills in young children, to help them become literate, articulate adults. How? Below, we explore six effective ways to teach spelling in primary schools, combining traditional cutting-edge techniques for optimal results. Each letter has its own sound. We all know this. However, emphasising specific sounds within any word pupils may be struggling to spell helps them identify the letters used. This ultimately makes putting the building blocks of the word itself together much easier. For example, if you’re trying to teach children to remember how to spell a word featuring an ‘ea’ — such as ‘dream’ — pronouncing the two letters separately would make it easier to remember the correct spelling. In this case, picking the word apart as ‘dre – am’ and encouraging pupils to repeat this can encourage them to write ‘ea’ rather than ‘ee’. This is a solid technique for words featuring a double ‘s’ too, as emphasising the sibilant sound demonstrates the importance of using more than just a single ‘s’. 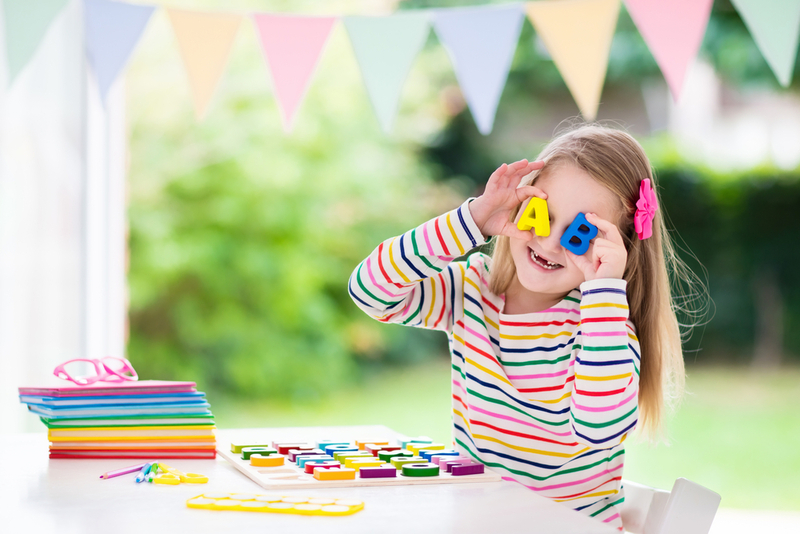 As children grow to consider the sounds that letters and words produce, they’ll become more comfortable with using the right letters. Teachers can mark words spelled incorrectly by the letter, rather than simply putting a cross beside it. For example, if a child wrote ‘dentizt’ instead of ‘dentist’, the teacher would tick all of the right letters and circle the wrong one. This helps the pupil to see that they got most of the word right and makes the mistake clearer. They will see they have the ability to spell the majority of ‘dentist’ properly, and only need to make a tiny correction to get it right. Combine this with the first tip, and teach the pupil to exaggerate the ‘s’ in ‘dentist’ aloud when spelling it. Help them see the difference between ‘s’ and ‘z’ by emphasising the ‘z’ sounds in ‘buzz’ and ‘fuzz’. Building a game around correct spelling helps pupils learn by having fun and makes a welcome change to sitting at a desk. Print a single word across multiple A4 sheets of paper (possibly of different colours), so each letter has its own page. Jumble these up and ask pupils to rearrange them in the right order to make the word. If the letters can build more than just one word, even better! Give pupils a selection of words to spell correctly, and ask them to make a story out of them. They will be looking to spell the words properly and use them in context. Writing a story will stimulate their imagination and help them focus on the meaning of the words as well as their spelling. Take a paragraph from a book pupils know well and rewrite it, misspelling several words. Ask children to work together in groups and circle any words they think may be incorrect. Offer a reward for the group that finds all of the right words in the fastest time. Spelling bees are a dynamic, simple way to improve spelling. In your classroom, invite two pupils at a time to spell words of your choosing. Children will have an incentive to think carefully about the construction of specific words. They will have a positive goal to focus on, and preparing for the bee will give pupils more of a reason to study their spelling. They will want to get it right to be crowned the winner, while they’ll also learn about the value of fair competition. By giving encouragement for correct spelling (or just a good attempt) in front of fellow pupils, the teacher can help build the pupil’s self-confidence and inspire them to try spelling more complex words. An effective activity is to either write a story or take an existing children’s tale and remove certain words, before presenting the modified piece to the pupils. Ask them to try to identify what word will work best in the blank space; you may choose to provide them with a list of possible words as an aid. Not only do they need to pick the right word, they have to spell it too. This encourages them to think about context along with spelling. Spelling tests are a fantastic method of teaching spelling in primary schools. One or more tests each week help to give pupils a reason to pay attention to their spelling, and earning a good score offers a real sense of achievement. Webanywhere’s Spellings Module is an innovative app that gives children an interactive way to practice spelling. This lets teachers build spelling lists quickly and easily, either pulling from pre-made lists or producing their own, all customised to each pupil’s capabilities. The Spellings Module allows teachers to track pupils’ progress over the space of the school year and compare them with others. The tests can be performed from any device. The BrainTrain function highlights words misspelled most commonly to inform the composition of future tests. By using app technology and devices that primary school children are familiar with, The Spelling Module helps to make spelling tests feel more relevant and accessible. Teachers may access past results and pupils’ progress in a convenient way, without having to check through dozens of papers manually. It’s a time-saving, inclusive app that benefits pupils and educators alike. Following the tips explored above can help to make teaching spelling more interactive, effective and straightforward. It’s vital to help children develop the knowledge and confidence to spell well as they grow, providing them with the skills to embrace new, more complex words throughout their lives. Webanywhere’s Spelling Module can be a powerful teaching aid that can be accessed at any time, any place. This expands practice beyond the classroom, encouraging good spelling in a fun, user-friendly way.